The Daltile Semi-Gloss 2 in. x 6 in. Ceramic Bullnose Cap Wall Tile features a striking, medium-gloss finish and a tasteful color that complements many home decors. This tile is recommended for use in interior residential applications such as walls, countertops and kitchen backsplashes. Its smooth surface and uniform appearance are designed to add style to your living space. This product can be cleaned with a low-alkaline detergent diluted with warm water. 0.083 square foot per piece, each piece sold individually. Piece weight equals 0.25 lb. 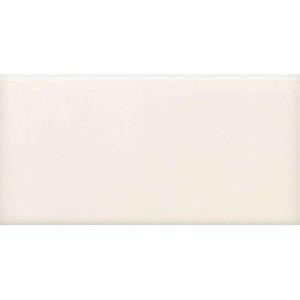 Buy online Daltile Semi-Gloss White 2 in. x 6 in. Ceramic Bullnose Cap Wall Tile 0100S4269CC1P2, leave review and share Your friends.